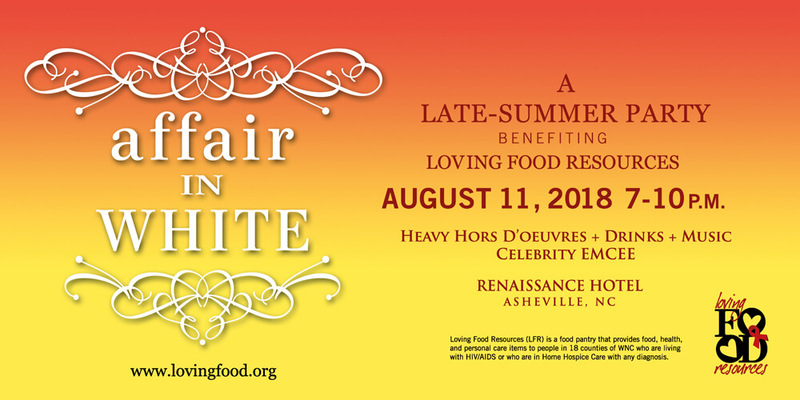 The Affair in White returns this year to the Renaissance Hotel in downtown Asheville on Saturday, August 11th at 7:00 PM. With an exciting night of entertainment, food, drinks and a live auction, the AIW is not to be missed! All proceeds will support Loving Food Resources’ mission while providing a night of fun activities, entertainment and sophistication. Purchase tickets today to reserve your seat at this must-attend event!